Full plane image courtesy EVA Air. Having very recently flown with two of the worse airlines, first AirEuropa returning from Madrid to JFK and then a couple days later on the morning of my flight to Thailand, United, from Newark to Chicago, it was a real pleasure to board the inaugural EVA “Hello Kitty Shining Star” flight from O’Hare to Taipei to be followed by a 3 hour flight from Taipei to The City of Angels, Bangkok. 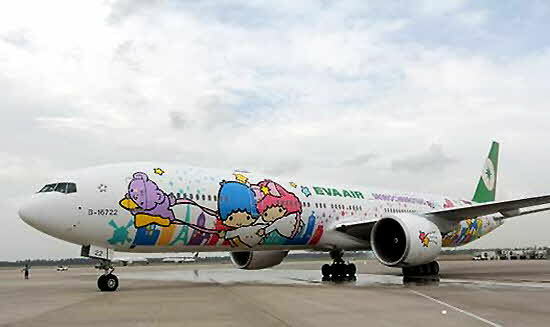 There is, starting May 31, 2017, a new whimsical plane flying from O’Hare with the “Hello Kitty Shining Star” livery, a flight crew that looked happy to serve (not the sour-faced personnel of the other two airlines that did not care what the passengers thought about their non-existent service), comfortable seating, a special “Hello Kitty” children’s menu and a “Hello Kitty” pillow on the seat and “Hello Kitty” cartoons in the entertainment system! 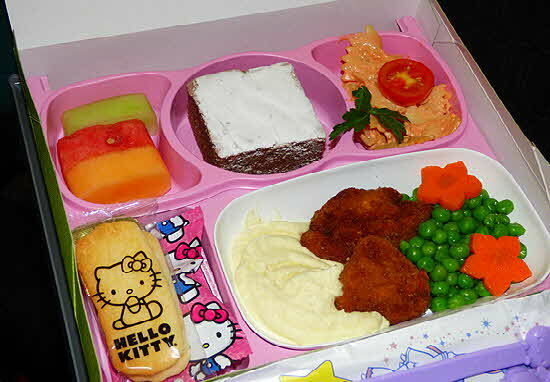 I know it is not really a total improvement over the generally excellent service of EVA Air, but it made me smile. EVA Air is Taiwan's first privately owned international airline. It flew its first scheduled flight in 1991 and, today, serves a network of destinations in Asia, Oceania, Europe and North America with North America gateways in Chicago, Houston, Los Angeles, New York, San Francisco, Seattle, Toronto and Vancouver. With a single stop in Taipei, flyers can connect aboard 132 flights to cities in Southeast Asia and 155 to Northeast Asia plus 111 weekly flights to 25 destinations in Mainland China. EVA operates flights from North America to Taiwan, connecting to more destinations in Asia than any other airline. As a Star Alliance member, EVA extends its network by code sharing to nearly 1,300 destinations in 190 countries. 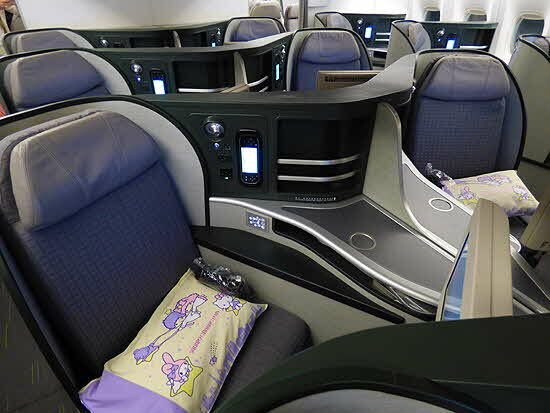 I consider EVA Air's Economy Class and Elite premium economy as offering the best economy service among the top best worldwide for 2017. EVA also created Royal Laurel Class, a luxurious cabin with personalized extras such as turn-down and sommelier-style wine services, when it began to add Boeing 777-300ERs to its fleet. Royal Laurel seats stretch out fully flat and include features such as coat hooks, easy-to-reach stowage spaces, handy seat-side surfaces for beverages, snacks and reading material and the latest audio/video technologies with 16-inch touch-screens. Connections for electronic devices and, on the airlineâs Boeing 777s, Wi-Fi and global roaming, equip travelers with in-flight offices when they need them. 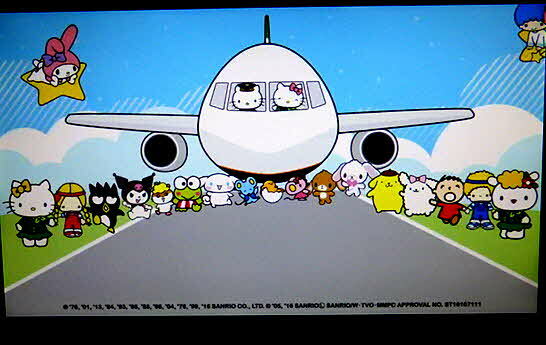 The connecting flight to Bangkok was also as smooth as silk, but without the whimsical presence of Hello Kitty. I missed its presence; it made me smile throughout what would have been a long flight. I also want to thank EVA for giving us access to its lounges in Chicago (it is shared with Air France and KLM), Taipei and Bangkok on the return. It made the 17 hour trip each way considerably more comfortable and enjoyable. © July 2017 LuxuryWeb Magazine. All rights reserved.